There has been much discussion in the surface preparation industry regarding the right way to ventilate blast rooms to ensure maximum safety and productivity. If rooms are not properly ventilated, then visibility is decreased and if the operator is unable to see what they are doing clearly, accidents are bound to happen. Having a clear blast room also increases operator productivity and minimises re-work caused by poor workplace visibility. In addition, the quality of blasting is improved because there is no dust getting mixed in with the abrasive during blasting. Unlike paint rooms, where overspray is constantly airborne and an air change calculation is suitable, blast room dust tends to be dense and requires an air speed calculation to keep it airborne up to the point of capture. 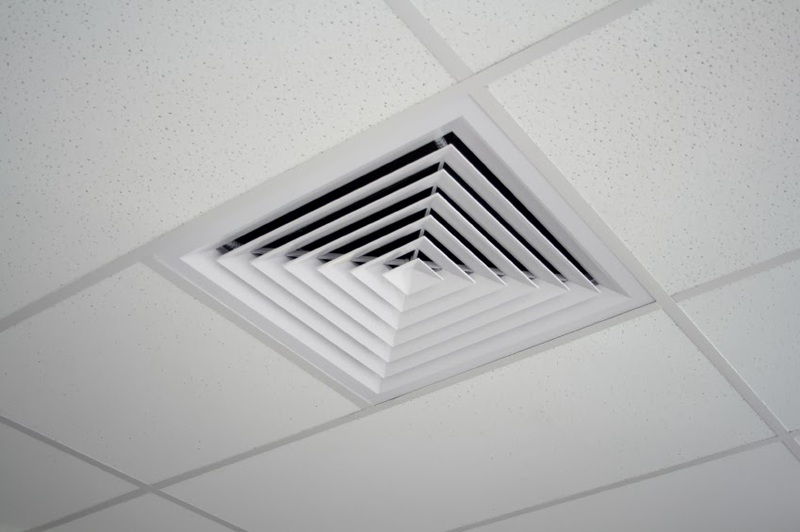 Therefore, proper ventilation is a calculation of height x width x speed of air moving down the booth and finding the optimum way of controlling this is the key to good quality ventilation. The challenges of controlling air flow are continually underestimated. Failure to understand correct air input and exhaust often leads to turbulence and associated build-up of dust within the booth causing specifiers to misunderstand the reasons for the failed dust extraction and call for increased ventilation rates of up to 100ft per minute. airblastafc.com, a leading supplier of surface preparation equipment, has spent many years researching the various methods of controlling the speed of air moving down the booth and combatting the challenges associated with creating the perfect route from the air inlet to the dust extractor. They have determined that air should be moving through the blast room at an optimum rate of 50ft per minute to ensure quality ventilation. To achieve this they have designed their blast rooms to work with gravity by positioning air inlets and outlets at opposing ends of the booth along its narrowest axis. The effect of this can be demonstrated with a simple calculation. In the instance of a 10ft wide by 10ft high by 20ft long blast booth, with correctly positioned air inlets and outlets along its narrowest axis (end-to-end), we arrive at the correct dust extraction unit by the following calculation: 10 x 10 x 50 = 5000cfm. In the case of the booth being ventilated side-to-side, achieving an airflow rate through the booth of 50ft per minute requires a dust extraction unit of twice the size so the calculation becomes: 10 x 20 x 50 = 10,000cfm. Other blast room manufacturers have shied away from this method to avoid the problem of fugitive abrasive particles associated with low level air extract and multiple large air inlet plenums. Examples of other ventilations systems include long tubes which feed the air up from the floor into high level outlets but this method is working against gravity, making it far less efficient in terms of dust removal. The other method often employed is to simply have inlets and outlets at the top of the booth. Once again this is less efficient as you are working against gravity and it means that only the top of the blast room is actually being properly ventilated. Airblast AFC’s outlets have been specifically designed to stop abrasive from getting out even when fitted at low level to create a laminar flow of air through the blast room ensuring maximum productivity without any abrasive wastage. Baffles are fitted to the air inlets so that the abrasive cannot ricochet and escape. These inlets are also designed to let air into the blast room steadily so that it doesn’t collide with the floor. This means that air moves smoothly through the blast room and carries the dust as smoothly as possible to be extracted. Good ventilation is one of the most important elements of any blast room and by properly controlling the speed of air moving through the blast room, it is possible to create a virtually dust free working environment - an environment which is not only easier to work in, improving productivity and accuracy, but is, above all, much safer for all operators.